Our safety department works together with industry experts, and with clients, to develop safety policies and procedures. Because Kal Tire operates throughout Western Canada in very diverse conditions and industries – from mining to trucking to farming – our safety concerns and training vary from region to region. With a dedicated staff, our safety team can be flexible enough to consider all health and safety concerns and address them on an individual basis. It’s a unique service for a tire company, but the safety of our employees and our clients is paramount. The sure way to a safe workplace is to have well-trained employees. Every team member, whether store or office staff, participate in a training program that runs between six months and two years, depending on their role. We consider our store-level staff to be tire service experts. They have completed a rigorous 31-step training program that is comprised of classroom training, self-study, and exams to verify knowledge. Safety practices are a significant part of the training curriculum. Our health and safety program is comprised of 14 sections, including hazard assessments and safe work procedures, and these sections are updated on a regular basis. Aside from our in-depth policies and strict guidelines, a significant portion of our program is dedicated to personal protection and the prevention of work place incidents. Our training covers a number of issues from ergonomics and first aid, to emergency procedures. Our employees are trained to assess risky situations and how to handle them. Everyone has the right to refuse to work in unsafe conditions. Designing a great health and safety program is one thing, making sure it is followed is another. Representatives from each division of our operations meet on a monthly basis to ensure consistency in the safe work policies and procedures. Safety focus groups are held with all staff to address new safety considerations Kal Tire also has an in-depth safety audit process. Bi-annual internal audits are performed for all provinces. The audit form we follow is the Partners in Reduction requirements for Alberta. We also conduct a bi-annual external audit. 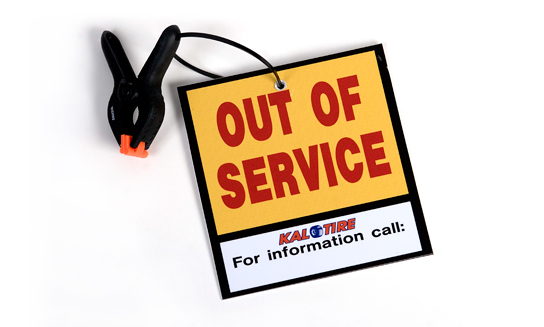 At Kal Tire, we have safety specialists dedicated to our health and safety practices. Preventing an injury or workplace accident is their primary goal.